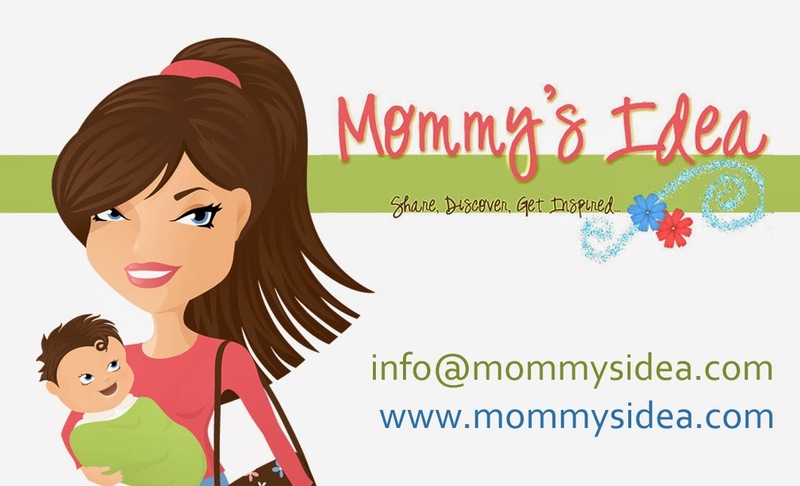 Mommy's Idea: Win a Blog Makeover from Olivina Design House! Contest ends at 11:59 PM EST on Saturday, September 5, 2009. My name is Thais and I am a Brazilian girl living in Seattle with my husband, daughter and puppy. I graduated in marketing in Brazil, but really love working with web design. Other interests: sunshine, trips, gardening, good food and friends. For now I work with all kinds of designing services, like photo books, scrap pages, blog makeovers and websites… but currently working on having my designs kits for sale soon. Since I have a little girl for a year now, my business is completely mom-owned and managed. My soul was born to be entrepreneur… it’s what makes me happy. I’m a very crafty person and after I moved to WA – five years ago – I opened a clothing boutique in a downtown neighborhood. After I sold it and had my baby I’ve been getting more and more passionate about web designing. I've been working on revising my blog, but have screwed something up at this point. I wanted a three column blog and ended up having that, but it doesn't fill up the screen. I'm not sure I like the dark colors either. A blog makeover would be just the thing to bring new life to my blog! I signed up for your feeds in google reader. I would like to win because I enjoy writing but I am having difficulty getting my page to look how I would like it to. Thanks for the give away. I've changed by blog look about 4 times. It's time for a permanent one. I would LOVE to win this. I like her style, and my blog is in such need of someone who knows what she's doing to clean it up, straighten out the buttons, and generally do whatever creative things she wants to do with it, with some input from me. Many thanks, I love this giveaway and would be thrilled to win. Wow! I totally need a header and a fancy signature. That would be so cool! Please enter me! I get your email feeds! I just started a blog and I am so clueless but I'm going with the flow. A nice design would help me out a ton! I would love this for my recipe blog! It's so boring - and needs some life! :) thank you! I need a professional look! I don't even know how to beyond the very most basic design to my blog (which is to say, download a blogger template). I need help!!! Very nice gallery. I would love to win a blog make over. I am very new at blogging and I did my best to set up my blog with a nice (free) template and tried my hand at the HTML code but I can not get it to look quite right. I wanted 3 columns but could not make it do what I needed and I am just not happy with it. I also have no idea what I am doing when it comes to buttons and I really need a couple. I've visited the site and would love to win it! I'm in desperate need of a makeover design for our organization, Miracles for Mom. i would like 2 win a house makeover one because i live in kittanning pa and its crappy. 2. cuz im 18 and could use this start with a good house. I'm starting to get into review blogging and Could really use a makeover! I would love to win this, I recently just started to create my own blog, and boy this is not easy. I really want to blog, but my site looks awful. I could use some professional help. I desperately need a new blog makeover. Mine is the free blogger template and a hodgepodge of freebies right now. Thanks for the opp to win one! I need it because mine is lame and I misspelled a category and don't know how to fix it! why i need 2 win this? OMG i have no HTML skills, i guess bc im so used to Myspace, thats the only skills in web i have! im ok with it but COME ON! have u seen my blogspot! it is in DIRE need of assistance! i would really appreciate winning this so much, bc i would LOVE to have a successful blog! seriously go peep it, it is BAD! i follow you on twitter + tweet the giveaway! I've also subscribed via email. Can't wait to get 'em. Who is a fan of books! 'Cause your blog is simply devine! 'Cause your blog makes me go WOW! and hope that others do too! But now I've done yours! I stumbled this post. My first stumble and it worked! I am horrible at this blog stuff. I know what I want my blog to look like, I just have no idea how to do it. Everytime I read a how-to, I get lost and frustrated. I love her work! I have placed the Ellie's Bag button at my blog: come and see it under the "Goodies" section. Very nice gallery and work she does... I would love to have a blog makeover because while I did some of mine myself I would really like someone with more experience and talent to help out my blog.. I signed up for feeds. I'd love to win this because it's time for a new look. She does cute work and I think would make something all the divas and I would be happy with. I would love to win because I desperately need a makeover. My current design is just a blogspot basic! If you're looking for free tips on [url=http://learnhowtoloseweight.net/]how to lose weight[/url] then check out my [url=http://learnhowtoloseweight.net/]weight loss blog[/url] for tons of great [url=http://learnhowtoloseweight.net/]weight loss tips[/url] and the best [url=http://learnhowtoloseweight.net/]ways to lose weight[/url]. Before you start building muscle, you need to be fit and lose weight. If you're looking for free tips on how to lose weight then check out my weight loss blog for tons of great weight loss tips and the best ways to lose weight. Before you start building muscle, you need to be fit and lose weight. A blog makeover sounds nice, thanks for the offer.